It’s Thinking Flowers Thursday! 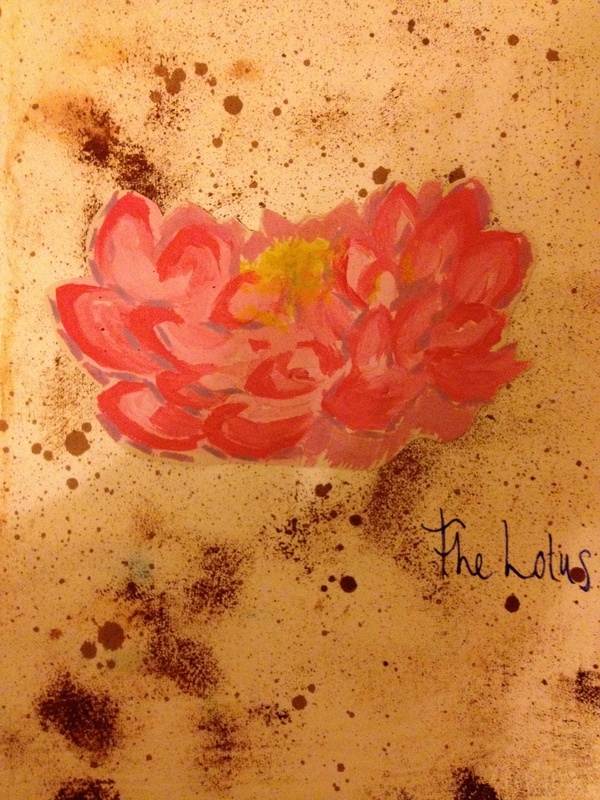 Today, we’re thinking about the many meanings of the lotus flower. Most of you will connect this flower with Buddhism, but did you know that it was an important flower for the Ancient Egyptians too? The Egyptians linked the lotus flower to the sun, which disappears at night and reappears during the day, and so it came to symbolise ‘rebirth’ in their culture. The famous Egyptian Book of the Dead, is known to include spells which transform a person into a lotus, thus allowing for resurrection. Have you ever seen a lotus flower emerging from a murky pond? Chinese poets use lotus flowers to inspire people to continue striving through difficulties and to show their best part to the outside world, no matter how bad the circumstances may be. This is understood as being just like the lotus flower, bringing beauty and light from the murky darkness at the bottom of the pond. We hope we’ve inspired some flower thoughts in you today! 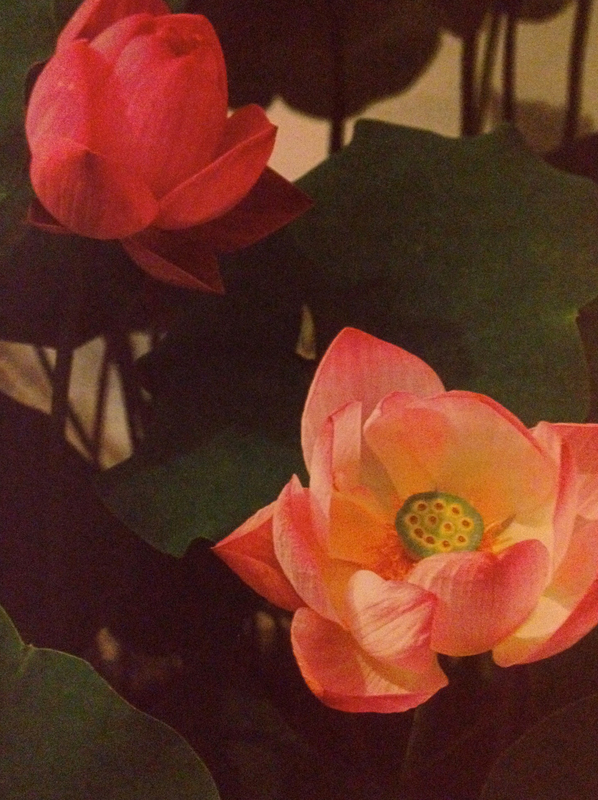 Do you have any memories associated with lotus flowers? I remember losing my way through the winding back streets of the Balineese city Kutu. Distressed by the pollution and litter, I was saddened to my stomach by the destruction we have caused to the beautiful places we are gifted to live in. After a few more uncharted turns I was on a dusty and busy main road. I had reached the furniture district situated a little out of town, so the artisans could have work space and show rooms. There was a really bad smell like open sewage. I covered my nose and mouth and ran. I couldn’t help stopping to spit out the water that had sprung into my mouth, as I looked for best place to do that, I saw a flash of colour, bright and vibrant, illuminating pinks and purples, with verdant greens for as far as I could see. In the swampy open sewer there were field Lotus flowers spread out, stretching right up the derelict building. The water was gone from my mouth and now streaming from my eyes. How could something so exquisite grow in such squalor? I wanted to walk amongst them, to feel their water roots on my feet, but there was no way as I could feel the teeming of the bacteria. I left Kuta the next day after a harried escape plan to the mountains. I had cried every day there as I was so distraught buy the tragic sea of destruction the tourists left. They were also building a massive sewage pipe into the sea, awaiting the arrival of a new hotel. I had had enough of seeing comdoms, coke cans and Burger King cups floating in the whisking white waves. It is almost like it had become bearable, or I was desensitized to it, in London, but the harsh juxtaposition of raw, creative nature and mindless destroying was cutting deep. I realized the Lotus was like us, and that even in the mess we cause we can be enlightened, we can change, we can blossom, there is hope and we have the resources. When my mind is muddied with sorrow and my thoughts of hope swamped with doubt, I remember the Lotus flower and how naturally triumphant it was. Thinking Flowers? is having a bit of a throwback!